"Polyglot" redirects here. For other uses, see Polyglot (disambiguation). It has been suggested that Plurilingualism be merged into this article. (Discuss) Proposed since February 2019. Multilingual sign outside the mayor's office in Novi Sad, written in the four official languages of the city: Serbian, Hungarian, Slovak, and Pannonian Rusyn. The logo of the Swiss Federal administration, in the four national languages of Switzerland (German, French, Italian and Romansh). Multilingualism is the use of more than one language, either by an individual speaker or by a community of speakers. It is believed that multilingual speakers outnumber monolingual speakers in the world's population. More than half of all Europeans claim to speak at least one language other than their mother tongue; but many read and write in one language. Always useful to traders, multilingualism is advantageous for people wanting to participate in globalization and cultural openness. Owing to the ease of access to information facilitated by the Internet, individuals' exposure to multiple languages is becoming increasingly possible. People who speak several languages are also called polyglots. Multilingual speakers have acquired and maintained at least one language during childhood, the so-called first language (L1). The first language (sometimes also referred to as the mother tongue) is acquired without formal education, by mechanisms about which scholars disagree. Children acquiring two languages from these early years are called simultaneous bilinguals. Even in the case of simultaneous bilinguals, one language is usually dominant. People who know more than one language have been reported to be more adept at language learning compared to monolinguals. Multilingualism in computing can be considered part of a continuum between internationalization and localization. Due to the status of English in computing, software development nearly always uses it (but see also Non-English-based programming languages). Almost all commercial software is initially available in an English version, and multilingual versions, if any, may be produced as alternative options based on the English original. The definition of multilingualism is a subject of debate in the same way as that of language fluency. On one end of a sort of linguistic continuum, one may define multilingualism as complete competence and mastery in another language. The speaker would presumably have complete knowledge and control over the language so as to sound native. On the opposite end of the spectrum would be people who know enough phrases to get around as a tourist using the alternate language. Since 1992, Vivian Cook has argued that most multilingual speakers fall somewhere between minimal and maximal definitions. Cook calls these people multi-competent. In addition, there is no consistent definition of what constitutes a distinct language. For instance, scholars often disagree whether Scots is a language in its own right or a dialect of English. 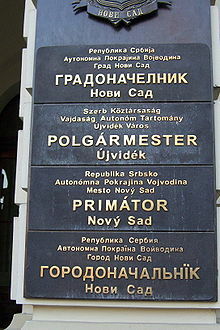 Furthermore, what is considered a language can change, often for purely political purposes, such as when Serbo-Croatian was created as a standard language on the basis of the Eastern Herzegovinian dialect to function as umbrella for numerous South Slavic dialects, and after the breakup of Yugoslavia was split into Serbian, Croatian, Bosnian and Montenegrin, or when Ukrainian was dismissed as a Russian dialect by the Russian tsars to discourage national feelings. Many small independent nations' schoolchildren are today compelled to learn multiple languages because of international interactions. For example, in Finland, all children are required to learn at least two foreign languages: the other national language (Swedish or Finnish) and one alien language (usually English). Many Finnish schoolchildren also select further languages, such as German or Russian. In some large nations with multiple languages, such as India, schoolchildren may routinely learn multiple languages based on where they reside in the country. In major metropolitan areas of Central, Southern and Eastern India, many children may be fluent in four languages (the mother tongue, the state language, and the official languages of India, Hindi and English). Thus, a child of Telugu parents living in Bangalore will end up speaking his or her mother tongue (Telugu) at home and the state language (Kannada), Hindi and English in school and life. In many countries, bilingualism occurs through international communications and English being the global lingua franca, which sometimes results in majority bilingualism even when the countries often have just one domestic official language. This is occurring especially in Germanic regions such as Scandinavia, the Benelux and among Germanophones, but it is also expanding into some non-Germanic countries. that the children do not have enough time to learn both languages, therefore it is better if they only acquire the majority language. that the children would be confused with having the ability to speak two languages and the “tip-of-the-tongue states” For instance, where one knows the meaning and the specific details of a word, but cannot retrieve a word. These are all harmful convictions which have long been debunked, yet still persist among many parents. One view is that of the linguist Noam Chomsky in what he calls the human language acquisition device—a mechanism which enables an individual to recreate correctly the rules and certain other characteristics of language used by speakers around the learner. This device, according to Chomsky, wears out over time, and is not normally available by puberty, which he uses to explain the poor results some adolescents and adults have when learning aspects of a second language (L2). If language learning is a cognitive process, rather than a language acquisition device, as the school led by Stephen Krashen suggests, there would only be relative, not categorical, differences between the two types of language learning. Rod Ellis quotes research finding that the earlier children learn a second language, the better off they are, in terms of pronunciation. See the Critical period hypothesis. European schools generally offer secondary language classes for their students early on, due to the interconnectedness with neighbour countries with different languages. Most European students now study at least two foreign languages, a process strongly encouraged by the European Union. Based on the research in Ann Fathman's The Relationship between age and second language productive ability, there is a difference in the rate of learning of English morphology, syntax and phonology based upon differences in age, but that the order of acquisition in second language learning does not change with age. In second language class, students will commonly face the difficulties on thinking in the target language because they are influenced by their native language and culture patterns. Robert B. Kaplan thinks that in second language classes, the foreign-student paper is out of focus because the foreign student is employing rhetoric and a sequence of thought which violate the expectations of the native reader. Foreign students who have mastered syntactic structures have still demonstrated inability to compose adequate themes, term papers, theses, and dissertations. Robert B. Kaplan describes two key words that affect people when they learn a second language. Logic in the popular, rather than the logician's sense of the word, which is the basis of rhetoric, is evolved out of a culture; it is not universal. Rhetoric, then, is not universal either, but varies, from culture to culture and even from time to time within a given culture. Language teachers know how to predict the differences between pronunciations or constructions in different languages, but they might be less clear about the differences between rhetoric, that is, in the way they use language to accomplish various purposes, particularly in writing. People who learn multiple languages may also experience positive transfer – the process by which it becomes easier to learn additional languages if the grammar or vocabulary of the new language is similar to those of languages already spoken. On the other hand, students may also experience negative transfer – interference from languages learned at an earlier stage of development while learning a new language later in life. Receptive bilinguals are those who have the ability to understand a second language but who cannot speak it or whose abilities to speak it are inhibited by psychological barriers. Receptive bilingualism is frequently encountered among adult immigrants to the U.S. who do not speak English as a native language but who have children who do speak English natively, usually in part because those children's education has been conducted in English; while the immigrant parents can understand both their native language and English, they speak only their native language to their children. If their children are likewise receptively bilingual but productively English-monolingual, throughout the conversation the parents will speak their native language and the children will speak English. If their children are productively bilingual, however, those children may answer in the parents' native language, in English, or in a combination of both languages, varying their choice of language depending on factors such as the communication's content, context, and/or emotional intensity and the presence or absence of third-party speakers of one language or the other. The third alternative represents the phenomenon of "code-switching" in which the productively bilingual party to a communication switches languages in the course of that communication. Receptively bilingual persons, especially children, may rapidly achieve oral fluency by spending extended time in situations where they are required to speak the language that they theretofore understood only passively. Until both generations achieve oral fluency, not all definitions of bilingualism accurately characterize the family as a whole, but the linguistic differences between the family's generations often constitute little or no impairment to the family's functionality. Receptive bilingualism in one language as exhibited by a speaker of another language, or even as exhibited by most speakers of that language, is not the same as mutual intelligibility of languages; the latter is a property of a pair of languages, namely a consequence of objectively high lexical and grammatical similarities between the languages themselves (e.g., Iberian Spanish and Iberian Portuguese), whereas the former is a property of one or more persons and is determined by subjective or intersubjective factors such as the respective languages' prevalence in the life history (including family upbringing, educational setting, and ambient culture) of the person or persons. In sequential bilingualism, learners receive literacy instruction in their native language until they acquire a "threshold" literacy proficiency. Some researchers use age 3 as the age when a child has basic communicative competence in their first language (Kessler, 1984). Children may go through a process of sequential acquisition if they migrate at a young age to a country where a different language is spoken, or if the child exclusively speaks his or her heritage language at home until he/she is immersed in a school setting where instruction is offered in a different language. In simultaneous bilingualism, the native language and the community language are simultaneously taught. The advantage is literacy in two languages as the outcome. However, the teacher must be well-versed in both languages and also in techniques for teaching a second language. The phases children go through during sequential acquisition are less linear than for simultaneous acquisition and can vary greatly among children. Sequential acquisition is a more complex and lengthier process, although there is no indication that non-language-delayed children end up less proficient than simultaneous bilinguals, so long as they receive adequate input in both languages. A coordinate model posits that equal time should be spent in separate instruction of the native language and of the community language. The native language class, however, focuses on basic literacy while the community language class focuses on listening and speaking skills. Being a bilingual does not necessarily mean that one can speak, for example, English and French. Research has found that the development of competence in the native language serves as a foundation of proficiency that can be transposed to the second language — the common underlying proficiency hypothesis. Cummins' work sought to overcome the perception propagated in the 1960s that learning two languages made for two competing aims. The belief was that the two languages were mutually exclusive and that learning a second required unlearning elements and dynamics of the first in order to accommodate the second (Hakuta, 1990). The evidence for this perspective relied on the fact that some errors in acquiring the second language were related to the rules of the first language (Hakuta, 1990). How this hypothesis holds under different types of languages such as Romance versus non-Western languages has yet to undergo research. Another new development that has influenced the linguistic argument for bilingual literacy is the length of time necessary to acquire the second language. While previously children were believed to have the ability to learn a language within a year, today researchers believe that within and across academic settings, the time span is nearer to five years (Collier, 1992; Ramirez, 1992). An interesting outcome of studies during the early 1990s however confirmed that students who do successfully complete bilingual instruction perform better academically (Collier, 1992; Ramirez, 1992). These students exhibit more cognitive elasticity including a better ability to analyse abstract visual patterns. Students who receive bidirectional bilingual instruction where equal proficiency in both languages is required perform at an even higher level. Examples of such programs include international and multi-national education schools. A multilingual person is someone who can communicate in more than one language, either actively (through speaking, writing, or signing) or passively (through listening, reading, or perceiving). More specifically, the terms bilingual and trilingual are used to describe comparable situations in which two or three languages are involved. A multilingual person is generally referred to as a polyglot, which may also be used to refer to people who learn multiple languages as a hobby. Multilingual speakers have acquired and maintained at least one language during childhood, the so-called first language (L1). The first language (sometimes also referred to as the mother tongue) is acquired without formal education, by mechanisms heavily disputed. Children acquiring two languages in this way are called simultaneous bilinguals. Even in the case of simultaneous bilinguals, one language usually dominates over the other. In linguistics, first language acquisition is closely related to the concept of a "native speaker". According to a view widely held by linguists, a native speaker of a given language has in some respects a level of skill which a second (or subsequent) language learner cannot easily accomplish. Consequently, descriptive empirical studies of languages are usually carried out using only native speakers. This view is, however, slightly problematic, particularly as many non-native speakers demonstrably not only successfully engage with and in their non-native language societies, but in fact may become culturally and even linguistically important contributors (as, for example, writers, politicians, media personalities and performing artists) in their non-native language. In recent years, linguistic research has focused attention on the use of widely known world languages, such as English, as a lingua franca or a shared common language of professional and commercial communities. In lingua franca situations, most speakers of the common language are functionally multilingual. People who know more than one language have been reported to be more adept at language learning compared to monolinguals. Bilinguals who are highly proficient in two or more languages have been reported to have enhanced executive function or even have reduced-risk for dementia. More recently, however, this claim has come under strong criticism with repeated failures to replicate. There is also a phenomenon known as distractive bilingualism or semilingualism. When acquisition of the first language is interrupted and insufficient or unstructured language input follows from the second language, as sometimes happens with immigrant children, the speaker can end up with two languages both mastered below the monolingual standard. A notable example can be found in the ethnic Bengali Muslim community of Assam province in India, hailing from East Bengal. Their mother tongue is Bengali, but they have no opportunity to study it in the school. Their medium language of study is Assamese, the provincial language. As a result, their predominant form of communication mixes the mother tongue and the medium language. Because they have no chance to study both the languages separately, they can't differentiate between the two or maintain such a difference in expression. Literacy plays an important role in the development of language in these immigrant children. Those who were literate in their first language before arriving, and who have support to maintain that literacy, are at the very least able to maintain and master their first language. There are differences between those who learn a language in a class environment and those who learn through total immersion, usually living in a country where the target language is widely spoken. Without the possibility to actively translate, due to a complete lack of any first language communication opportunity, the comparison between languages is reduced. The new language is almost independently learned, like the mother tongue for a child, with direct concept-to-language translation that can become more natural than word structures learned as a subject. Added to this, the uninterrupted, immediate and exclusive practice of the new language reinforces and deepens the attained knowledge. Bilinguals might have important labor market advantages over monolingual individuals as bilingual people are able to carry out duties that monolinguals cannot, such as interacting with customers who only speak a minority language. A study in Switzerland has found that multilingualism is positively correlated with an individual's salary, the productivity of firms, and the gross domestic production (GDP); the authors state that Switzerland's GDP is augmented by 10% by multilingualism. A study in the United States by Agirdag found that bilingualism has substantial economic benefits as bilingual persons were found to have around $3,000 per year more salary than monolinguals. A study in 2012 has shown that using a foreign language reduces decision-making biases. It was surmised that the framing effect disappeared when choices are presented in a second language. As human reasoning is shaped by two distinct modes of thought: one that is systematic, analytical and cognition-intensive, and another that is fast, unconscious and emotionally charged, it was believed that a second language provides a useful cognitive distance from automatic processes, promoting analytical thought and reducing unthinking, emotional reaction. Therefore, those who speak two languages have better critical thinking and decision making skills. A study published a year later found that switching into a second language seems to exempt bilinguals from the social norms and constraints such as political correctness. In 2014, another study has shown that people using a foreign language are more likely to make utilitarian decisions when faced with a moral dilemma, as in the trolley problem. The utilitarian option was chosen more often in the fat man case when presented in a foreign language. However, there was no difference in the switch track case. It was surmised that a foreign language lacks the emotional impact of one's native language. Because it is difficult or impossible to master many of the high-level semantic aspects of a language (including but not limited to its idioms and eponyms) without first understanding the culture and history of the region in which that language evolved, as a practical matter an in-depth familiarity with multiple cultures is a prerequisite for high-level multilingualism. This knowledge of cultures individually and comparatively, or indeed the mere fact of one's having that knowledge, often forms an important part of both what one considers one's own personal identity to be and what others consider that identity to be. Some studies have found that groups of multilingual individuals get higher average scores on tests for certain personality traits such as cultural empathy, open-mindedness and social initiative. The idea of linguistic relativity, which claims that the language people speak influences the way they see the world, can be interpreted to mean that individuals who speak multiple languages have a broader, more diverse view of the world, even when speaking only one language at a time. Some bilinguals feel that their personality changes depending on which language they are speaking; thus multilingualism is said to create multiple personalities. Xiao-lei Wang states in her book Growing up with Three Languages: Birth to Eleven: "Languages used by speakers with one or more than one language are used not just to represent a unitary self, but to enact different kinds of selves, and different linguistic contexts create different kinds of self-expression and experiences for the same person." However, there has been little rigorous research done on this topic and it is difficult to define "personality" in this context. François Grosjean wrote: "What is seen as a change in personality is most probably simply a shift in attitudes and behaviors that correspond to a shift in situation or context, independent of language." However, the Sapir-Whorf hypothesis, which states that a language shapes our vision of the world, may suggest that a language learned by a grown-up may have much fewer emotional connotations and therefore allow a more serene discussion than a language learned by a child and to that respect more or less bound to a child's perception of the world. A 2013 study published in PLoS ONE found that rather than an emotion-based explanation, switching into the second language seems to exempt bilinguals from the social norms and constraints such as political correctness. While many polyglots know up to six languages, the number drops off sharply past this point. People who speak many more than this—Michael Erard suggests eleven or more—are sometimes classed as hyperpolyglots. Giuseppe Caspar Mezzofanti, for example, was an Italian priest reputed to have spoken anywhere from 30 to 72 languages. The causes of advanced language aptitude are still under research; one theory suggests that a spike in a baby's testosterone levels while in the uterus can increase brain asymmetry, which may relate to music and language ability, among other effects. While the term "savant" generally refers to an individual with a natural and/or innate talent for a particular field, people diagnosed with savant syndrome are typically individuals with significant mental disabilities who demonstrate profound and prodigious capacities and/or abilities far in excess of what would be considered normal, occasionally including the capacity for languages. The condition is associated with an increased memory capacity, which would aid in the storage and retrieval of knowledge of a language. In 1991, for example, Neil Smith and Ianthi-Maria Tsimpli described Christopher, a man with non-verbal IQ scores between 40 and 70, who learned sixteen languages. Christopher was born in 1962 and approximately six months after his birth was diagnosed with brain damage. Despite being institutionalized because he was unable to take care of himself, Christopher had a verbal IQ of 89, was able to speak English with no impairment, and could learn subsequent languages with apparent ease. This facility with language and communication is considered unusual among savants. A bilingual sign in Brussels, the capital of Belgium. In Brussels, both Dutch and French are official languages. A multilingual sign at the Hong Kong-Macau Ferry Pier in Macau. At the top are Portuguese and Chinese, which are the official languages of Macau, while at the bottom are Japanese and English, which are common languages used by tourists (English is also one of Hong Kong's two official languages). The three-language (Tamil, English and Hindi) name board at the Tirusulam suburban railway station in Chennai (Madras). 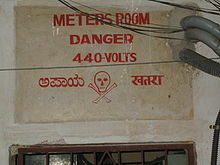 Almost all railway stations in India have signs like these in three or more languages (English, Hindi and the local language). 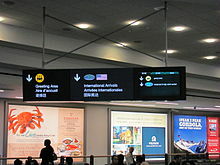 Multilingual sign at Vancouver International Airport, international arrivals area. Text in English, French, and Chinese is a permanent feature of this sign, while the right panel of the sign is a video screen that rotates through additional languages. Multilingual sign at an exit of SM Mall of Asia in Pasay City, Philippines. 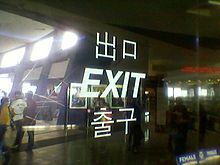 Three or four languages are shown: Japanese/Mandarin Chinese ("deguchi" or "chūkǒu", respectively), English ("exit") and Korean ("chulgu"). While Filipinos themselves are anglophone, such signs cater to the growing number of Koreans and other foreigners in the country. A Train name found in South India written in four languages: Kannada, Hindi, Tamil and English. Boards like this are common on trains which pass through two or more states where the languages spoken are different. Widespread multilingualism is one form of language contact. Multilingualism was common in the past: in early times, when most people were members of small language communities, it was necessary to know two or more languages for trade or any other dealings outside one's own town or village, and this holds good today in places of high linguistic diversity such as Sub-Saharan Africa and India. Linguist Ekkehard Wolff estimates that 50% of the population of Africa is multilingual. Diglossia: if there is a structural functional distribution of the languages involved, the society is termed 'diglossic'. Typical diglossic areas are those areas in Europe where a regional language is used in informal, usually oral, contexts, while the state language is used in more formal situations. Frisia (with Frisian and German or Dutch) and Lusatia (with Sorbian and German) are well-known examples. Some writers limit diglossia to situations where the languages are closely related, and could be considered dialects of each other. This can also be observed in Scotland where, in formal situations, English is used. However, in informal situations in many areas, Scots is the preferred language of choice. 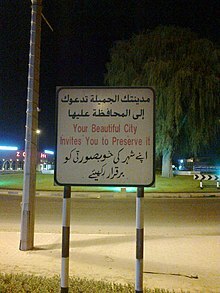 A similar phenomenon is also observed in Arabic-speaking regions. The effects of diglossia could be seen in the difference between written Arabic (Modern Standard Arabic) and colloquial Arabic. However, as time goes, the Arabic language somewhere between the two have been created what some have deemed "Middle Arabic" or "Common Arabic". Because of this diversification of the language, the concept of spectroglossia has been suggested. Ambilingualism: a region is called ambilingual if this functional distribution is not observed. In a typical ambilingual area it is nearly impossible to predict which language will be used in a given setting. True ambilingualism is rare. Ambilingual tendencies can be found in small states with multiple heritages like Luxembourg, which has a combined Franco-Germanic heritage, or Malaysia and Singapore, which fuses the cultures of Malays, China, and India or communities with high rates of deafness like Martha's Vineyard where historically most inhabitants spoke both MVSL and English or in southern Israel where locals speak both Al-Sayyid Bedouin Sign Language and either Arabic or Hebrew. Ambilingualism also can manifest in specific regions of larger states that have both a clearly dominant state language (be it de jure or de facto) and a protected minority language that is limited in terms of distribution of speakers within the country. This tendency is especially pronounced when, even though the local language is widely spoken, there is a reasonable assumption that all citizens speak the predominant state tongue (e.g., English in Quebec vs. Canada; Spanish in Catalonia vs. Spain). This phenomenon can also occur in border regions with many cross-border contacts. Bipart-lingualism: if more than one language can be heard in a small area, but the large majority of speakers are monolinguals, who have little contact with speakers from neighbouring ethnic groups, an area is called 'bipart-lingual'. An example of this is the Balkans. N.B. the terms given above all refer to situations describing only two languages. In cases of an unspecified number of languages, the terms polyglossia, omnilingualism, and multipart-lingualism are more appropriate. Whenever two people meet, negotiations take place. If they want to express solidarity and sympathy, they tend to seek common features in their behavior. If speakers wish to express distance towards or even dislike of the person they are speaking to, the reverse is true, and differences are sought. This mechanism also extends to language, as described in the Communication Accommodation Theory. Some multilinguals use code-switching, a term that describes the process of 'swapping' between languages. In many cases, code-switching is motivated by the wish to express loyalty to more than one cultural group, as holds for many immigrant communities in the New World. Code-switching may also function as a strategy where proficiency is lacking. Such strategies are common if the vocabulary of one of the languages is not very elaborated for certain fields, or if the speakers have not developed proficiency in certain lexical domains, as in the case of immigrant languages. This code-switching appears in many forms. If a speaker has a positive attitude towards both languages and towards code-switching, many switches can be found, even within the same sentence. If, however, the speaker is reluctant to use code-switching, as in the case of a lack of proficiency, he might knowingly or unknowingly try to camouflage his attempt by converting elements of one language into elements of the other language through calquing. This results in speakers using words like courrier noir (literally mail that is black) in French, instead of the proper word for blackmail, chantage. Sometimes a pidgin language may develop. A pidgin language is a fusion of two languages that is mutually understandable for both speakers. Some pidgin languages develop into real languages (such as Papiamento in Curaçao or Singlish in Singapore) while others remain as slangs or jargons (such as Helsinki slang, which is more or less mutually intelligible both in Finnish and Swedish). [clarification needed] In other cases, prolonged influence of languages on each other may have the effect of changing one or both to the point where it may be considered that a new language is born. For example, many linguists believe that the Occitan language and the Catalan language were formed because a population speaking a single Occitano-Romance language was divided into political spheres of influence of France and Spain, respectively. Yiddish is a complex blend of Middle High German with Hebrew and borrowings from Slavic languages. Bilingual interaction can even take place without the speakers switching. In certain areas, it is not uncommon for speakers each to use a different language within the same conversation. This phenomenon is found, amongst other places, in Scandinavia. Most speakers of Swedish, Norwegian and Danish can communicate with each other speaking their respective languages, while few can speak both (people used to these situations often adjust their language, avoiding words that are not found in the other language or that can be misunderstood). Using different languages is usually called non-convergent discourse, a term introduced by the Dutch linguist Reitze Jonkman. To a certain extent, this situation also exists between Dutch and Afrikaans, although everyday contact is fairly rare because of the distance between the two respective communities. Another example is the former state of Czechoslovakia, where two closely related and mutually intelligible languages (Czech and Slovak) were in common use. Most Czechs and Slovaks understand both languages, although they would use only one of them (their respective mother tongue) when speaking. For example, in Czechoslovakia it was common to hear two people talking on television each speaking a different language without any difficulty understanding each other. This bilinguality still exists nowadays, although it has started to deteriorate after Czechoslovakia split up. A localized system has been adapted or converted for a particular locale (other than the one it was originally developed for), including the language of the user interface, input, and display, and features such as time/date display and currency; but each instance of the system only supports a single locale. Multilingualised software supports multiple languages for display and input simultaneously, but generally has a single user interface language. Support for other locale features like time, date, number and currency formats may vary as the system tends towards full internationalisation. Generally a multilingualised system is intended for use in a specific locale, whilst allowing for multilingual content. An internationalised system is equipped for use in a range of locales, allowing for the co-existence of several languages and character sets in user interfaces and displays. In particular, a system may not be considered internationalised in the fullest sense unless the interface language is selectable by the user at runtime. Translating the user interface is usually part of the software localization process, which also includes adaptations such as units and date conversion. Many software applications are available in several languages, ranging from a handful (the most spoken languages) to dozens for the most popular applications (such as office suites, web browsers, etc.). Due to the status of English in computing, software development nearly always uses it (but see also Non-English-based programming languages), so almost all commercial software is initially available in an English version, and multilingual versions, if any, may be produced as alternative options based on the English original. The Multilingual App Toolkit (MAT) was first released in concert with the release of Windows 8 as a way to provide developers a set of free tooling that enabled adding languages to their apps with just a few clicks, in large part due to the integration of a free, unlimited license to both the Microsoft Translator machine translation service and the Microsoft Language Platform service, along with platform extensibility to enable anyone to add translation services into MAT. Microsoft engineers and inventors of MAT, Jan A. Nelson and Camerum Lerum have continued to drive development of the tools, working with third parties and standards bodies to assure broad availability of multilingual app development is provided. With the release of Windows 10, MAT is now delivering support for cross-platform development for Windows Universal Apps as well as IOS and Android. Globalization has led the world to be more deeply interconnected. Consequences of this are that more and more companies are trading with foreign countries, and with countries that don't necessarily speak the same language. English has become an important working knowledge mainly in multinational companies, but also in smaller companies. NGO workers are also faced with multilingualism when intervening on the field and use both linguistic and non-verbal strategies to communicate. According to Hewitt (2008) entrepreneurs in London from Poland, China or Turkey use English mainly for communication with customers, suppliers and banks, but their own native languages for work tasks and social purposes. Even in English speaking countries immigrants are still able to use their own mother tongue in the workplace thanks to other immigrants from the same place. Kovacs (2004) describes this phenomenon in Australia with Finnish immigrants in the construction industry who spoke Finnish during working hours. But even though foreign languages may be used in the workplace, English is still a must-know working skill. Mainstream society justifies the divided job market, arguing that getting a low-paying job is the best newcomers can achieve considering their limited language skills. With companies going international they are now focusing more and more on the English level of their employees. Especially in South Korea since the 1990s, companies are using different English language testing to evaluate job applicants, and the criteria in those tests are constantly upgrading the level for good English. In India it is even possible to receive training to acquire an English accent, as the number of outsourced call centres in India has soared in the past decades. Meanwhile, Japan ranks 26th out of 63 countries in a 2014 English Proficiency Index, amid calls for this to improve in time for the 2020 Tokyo Olympics. Within multiracial countries such as Malaysia and Singapore, it is not unusual for one to speak two or more languages, albeit with varying degrees of fluency. Some are proficient in several Chinese dialects, given the linguistic diversity of the ethnic Chinese community in both countries. Not only in multinational companies is English an important skill, but also in the engineering industry, in the chemical, electrical and aeronautical fields. A study directed by Hill and van Zyl (2002) shows that in South Africa young black engineers used English most often for communication and documentation. However, Afrikaans and other local languages were also used to explain particular concepts to workers in order to ensure understanding and cooperation. In Europe, as the domestic market is generally quite restricted, international trade is a norm. But there is no predominant language in Europe (with German spoken in Germany, Austria, Switzerland, Luxembourg, and Belgium; French in France, Belgium, Luxembourg, and Switzerland; and English in the United Kingdom, Ireland, and Malta). Most of the time, English is used as a communication language, but in multilingual countries such as Belgium (Dutch, French and German), Switzerland (German, French, Italian and Romanche), Luxembourg (Luxembourgish, French and German) or Spain (Spanish, Catalan, Basque and Galician), it is common to see employees mastering two or even three of those languages. Some languages such as Danish, Swedish and Norwegian or Serbo-Croatian and Slovenian are so close to each other that it is generally more common when meeting to use their mother tongue rather than English. Continued global diversity has led to an increasingly multilingual workforce. Europe has become an excellent model to observe this newly diversified labor culture. The expansion of the European Union with its open labor market has provided opportunities both for well-trained professionals and unskilled workers to move to new countries to seek employment. Political changes and turmoil have also led to migration and to the creation of new and more complex multilingual workplaces. In most wealthy and secure countries, immigrants are found mostly in low paid jobs but also, increasingly, in high status positions. It is extremely common for music to be written in whatever the contemporary lingua franca is. If a song is not written in a common tongue, then it is usually written in whatever is the predominant language in the musician's country of origin, or in another widely recognized language, such as English, German, Spanish, or French. The bilingual song cycles "there..." and "Sing, Poetry" on the 2011 contemporary classical album Troika consist of musical settings of Russian poems with their English self-translations by Joseph Brodsky and Vladimir Nabokov, respectively. Songs with lyrics in multiple languages are known as macaronic verse. ^ "A Global Perspective on Bilingualism and Bilingual Education (1999), G. Richard Tucker, Carnegie Mellon University" (PDF). cal.org. Retrieved 8 May 2018. ^ "Europeans and their languages, a survey co-ordinated by the European Commission" (PDF). European Commission. Archived (PDF) from the original on 5 February 2016. Retrieved 15 November 2016. ^ "The importance of multilingualism". multilingualism.org. Archived from the original on 28 August 2010. Retrieved 16 September 2010. ^ "Polyglot". Free Online Dictionary, Thesaurus and Encyclopedia. Thefreedictionary.com. Retrieved 10 July 2010. ^ a b Kaushanskaya M, Marian V (2009). "The bilingual advantage in novel word learning". Psychonomic Bulletin & Review. 16 (4): 705–710. doi:10.3758/PBR.16.4.705. PMID 19648456. ^ "Multi-competence definition". www.viviancook.uk. Archived from the original on 22 October 2017. Retrieved 8 May 2018. ^ a b c Paradowski MB, Bator A (2016). "Perceived effectiveness of language acquisition in the process of multilingual upbringing by parents of different nationalities". International Journal of Bilingual Education and Bilingualism. 21 (6): 1–19. doi:10.1080/13670050.2016.1203858. ^ Cook, Vivian (2008). Second Language Learning and Language Teaching. Hodder Education. ISBN 978-0-340-95876-6. ^ "Writing With English As A Second Language". Foreign-Language.org. Archived from the original on 21 April 2015. ^ "English as a second language: Who in Europe speaks it best?". Europe Language Jobs. 31 July 2018. Retrieved 22 December 2018. ^ Valdés, Guadalupe (2012). "Multilingualism". Linguistic Society of America. Retrieved 7 September 2016. ^ Santrock, John W. (2008). Bilingualism and Second-Language Learning. A Topical Approach to Life-Span Development (4th ed.) (pp. 330–335). New York, NY: McGraw-Hill Companies, Inc.
^ "EurActiv: Most EU students learn two foreign languages: Study, 28 September 2009, retrieved November 2011". euractiv.com. Archived from the original on 15 October 2017. Retrieved 8 May 2018. ^ Fathman, Ann (1975). "THE RELATIONSHIP BETWEEN AGE AND SECOND LANGUAGE PRODUCTIVE ABILITY". Language Learning. 25 (2): 245–253. doi:10.1111/j.1467-1770.1975.tb00244.x. ^ a b Kaplan, Robert B. "Cultural thought patterns in inter-cultural education language learning". 16.1-2(2006). 1-20. Wiley Online Library. Web. 9 November 2010. ^ Gadda, George. Writing and Language Socialization Across Cultures: Some Implications for the classroom. Addison Wesley LongMan. Print. ^ Pavlenko, Aneta (2 June 2015). "Can a second language help you learn a third?". Psychology Today: Life as a Bilingual. Retrieved 7 September 2016. ^ "Ethnologue report for language code: spa". Ethnologue.com. Archived from the original on 18 April 2010. Retrieved 10 July 2010. ^ "Page Not Found". www.hanen.org. Archived from the original on 30 May 2009. Retrieved 8 May 2018. ^ "Developing Native Language Literacy in Language Minority Adults". www.ericdigests.org. Retrieved 24 February 2019. ^ Trudell, Barbara (May 2005). "Language choice, education and community identity". International Journal of Educational Development. 25 (3): 237–251. doi:10.1016/j.ijedudev.2004.08.004. cited in "The perils of learning in English". The Economist (subscription required). 21 February 2019. Retrieved 24 February 2019. Research demonstrates that children learn more when they are taught in their mother tongue than they do when they are taught in any other language. In a study of children in the first three years in 12 schools in Cameroon, those taught in Kom did better than those taught in English in all subjects. Parents might say that the point is to prepare children for the workplace, and that a grasp of English is more use than sums or history. Yet by year five the children taught in Kom outperformed English-medium children even in English. Perhaps this is because they gain a better grasp of the mechanics of reading and writing when they are learning the skills in a language they understand. ^ Krzeminska, Marta (19 July 2016). "The cult of the polyglot". Archived from the original on 6 September 2016. Retrieved 7 September 2016. ^ a b c Erard, Michael (2012). Babel No More: The Search for the World’s Most Extraordinary Language Learners. Free Press. ISBN 978-1-4516-2825-8. ^ a b Hult, F.M. (2014). Covert bilingualism and symbolic competence: Analytical reflections on negotiating insider/outsider positionality in Swedish speech situations. Applied Linguistics, 35(1), 63-81. ^ Bialystok E, Martin MM (2004). "Attention and inhibition in bilingual children: evidence from the dimensional change card sort task". Dev Sci. 7 (3): 325–39. doi:10.1111/j.1467-7687.2004.00351.x. PMID 15595373. ^ Bialystok E, Craik FI, Grady C, Chau W, Ishii R, Gunji A, Pantev C (2005). "Effect of bilingualism on cognitive control in the Simon task: evidence from MEG". NeuroImage. 24 (1): 40–49. doi:10.1016/j.neuroimage.2004.09.044. PMID 15588595. ^ Kluger, Jeffrey (18 July 2013). "How the Brain Benefits from Being Bilingual". TIME. Archived from the original on 21 July 2013. ^ Skibba, Ramin (2018). "How a second language can boost the brain". Knowable Magazine. doi:10.1146/knowable-112918-1. ^ Yong, Ed. "The Bitter Fight Over the Benefits of Bilingualism". The Atlantic. Archived from the original on 11 February 2016. Retrieved 11 February 2016. ^ Lehtonen, Minna; Soveri, Anna; Laine, Aini; Järvenpää, Janica; Bruin, Angela de; Antfolk, Jan (2018). "Is Bilingualism Associated With Enhanced Executive Functioning in Adults? A Meta-Analytic Review". Psychological Bulletin. 144 (3): 394–425. doi:10.1037/bul0000142. PMID 29494195. ^ Bruin, Angela de; Treccani, Barbara; Sala, Sergio Della (4 December 2014). "Cognitive Advantage in Bilingualism An Example of Publication Bias?". Psychological Science. 26 (1): 99–107. doi:10.1177/0956797614557866. ISSN 0956-7976. PMID 25475825. Archived from the original on 10 July 2015. ^ Paap, Kenneth R.; Johnson, Hunter A.; Sawi, Oliver (1 August 2015). "Bilingual advantages in executive functioning either do not exist or are restricted to very specific and undetermined circumstances". Cortex. 69: 265–278. doi:10.1016/j.cortex.2015.04.014. PMID 26048659. ^ Grin, François; Sfreddo, Claudio; Vaillancourt, François (2013). Economics of the multilingual workplace. [S.l. ]: Routledge. ISBN 978-0-415-85106-0. ^ Agirdag, O. (2014). "The long-term effects of bilingualism on children of immigration: student bilingualism and future earnings". International Journal of Bilingual Education and Bilingualism. 17 (4): 449–464. doi:10.1080/13670050.2013.816264. ^ Boaz Keysar; Sayuri L. Hayakawa; Sun Gyu An (18 April 2012). "The Foreign-Language Effect: Thinking in a Foreign Tongue Reduces Decision Biases". Psychological Science. 23 (6): 661–668. doi:10.1177/0956797611432178. PMID 22517192. ^ a b Gawinkowska M, Paradowski MB, Bilewicz M (2013). "Second language as an exemptor from sociocultural norms. Emotion-Related Language Choice revisited". PLoS ONE. 8 (12): e8122. doi:10.1371/journal.pone.0081225. PMC 3859501. PMID 24349044. ^ Halwachs, D.W. (1993). "Polysystem repertoire and identity". Grazer Linguistische Studien. 39–40: 71–90. ^ Dewaele, J. (2012). "Multilingualism, empathy, and multicompetence" (PDF). International Journal of Multilingualism: 1–15. Archived (PDF) from the original on 9 October 2013. ^ Dewaele, J. (2007). "The effect of multilingualism, sociobiographical, and situational factors on communicative anxiety and foreign language anxiety of mature language learners". International Journal of Bilingualism. 11 (4): 391–409. doi:10.1177/13670069070110040301. ^ Grosjean, F (2011). "Life as a bilingual: the reality of living with two or more languages". Psychology Today. ^ Tokuhama-Espinosa, T. (2003). The multilingual mind: Issues discussed by, for, and about people living with many languages. Westport, Connecticut: Praeger Publishers. ^ Wang, X. (2008). Growing up with three languages: Birth to eleven. Briston, United Kingdom: Multilingualism Matters. ^ François Grosjean (author of chapter); Editor: I. Parasnis (1996). Living with two languages and two cultures, chapter in: Cultural and Language Diversity and the Deaf Experience. Cambridge University Press. ^ a b Hudson, Richard (2008). "Word grammar, cognitive linguistics, and second language learning and teaching". In Peter Robinson; Nick Ellis (eds.). Handbook of Cognitive Linguistics and Second Language Acquisition (PDF). New York: Routledge. ISBN 9780805853513. ^ Leland, John (9 March 2012). "Adventures of a Teenage Polyglot". The New York Times. Retrieved 5 April 2012. ^ Miller, LK (1999). "The savant syndrome: Intellectual impairment and exceptional skill". Psychological Bulletin. 125 (1): 31–46. doi:10.1037/0033-2909.125.1.31. PMID 9990844. ^ Bolte, S (2004). "Comparing the intelligence profiles of savant and nonsavant individuals with autistic disorder". Intelligence. 32 (2): 121. doi:10.1016/j.intell.2003.11.002. ^ Treffert, Darold A. (27 May 2009). "The savant syndrome: an extraordinary condition. A synopsis: past, present, future". Philosophical Transactions of the Royal Society B: Biological Sciences. 364 (1522): 1351–1357. doi:10.1098/rstb.2008.0326. ISSN 0962-8436. PMC 2677584. PMID 19528017. ^ Bates, Elizabeth (1997). "On language savants and the structure of the mind" (PDF). International Journal of Bilingualism: 163–179. ^ Smith, Neil; Tsimpli, Ianthi-Maria (August 1991). "Linguistic modularity? A case study of a 'savant' linguist". Lingua. 84 (4): 315–351. doi:10.1016/0024-3841(91)90034-3. ^ Wolff, Ekkehard (2000). Language and Society. In: Bernd Heine and Derek Nurse (Eds.) African Languages - An Introduction, 317. Cambridge University Press. ^ Poplack Shana (1980). "Sometimes I'll start a sentence in Spanish y termino en español": toward a typology of code-switching". Linguistics. 18 (7/8): 581–618. doi:10.1515/ling.1980.18.7-8.581. ^ Dedić, N. and Stanier C., 2016., "An Evaluation of the Challenges of Multilingualism in Data Warehouse Development" in 18th International Conference on Enterprise Information Systems - ICEIS 2016, p. 196. ^ "Multilingual Functionality: New in Wolfram Language 11". www.wolfram.com. Archived from the original on 20 August 2016. Retrieved 23 August 2016. ^ "The New Reynell Developmental Language Scales". oro.open.ac.uk. Archived from the original on 22 December 2015. Retrieved 21 December 2015. ^ "Jan Nelson (Microsoft): The Multilingual App Toolkit Version 3.0". youtube.com. Archived from the original on 16 December 2015. Retrieved 21 December 2015. ^ Bencherki, Nicolas; Matte, Frédérik; Pelletier, Émilie (October 2016). "Rebuilding Babel: A Constitutive Approach to Tongues‐in‐use". Journal of Communication. 66 (5): 766–788. doi:10.1111/jcom.12250. ^ Kovacs, M. (2004). Australian Finns on the verge of language shift. pp. 108, 200–223. ^ "9 of the world's most multilingual countries". Mother Nature Network. 28 June 2014. Archived from the original on 5 October 2016. ^ Platt, John T. (December 1977). "A Model for Polyglossia and Multilingualism (With Special Reference to Singapore and Malaysia)". Language in Society. 6 (3): 361–378. doi:10.1017/s0047404500005066. JSTOR 4166945. ^ Lim, Lisa. "English and Multilingualism in Singapore". Encyclopedia of Applied Linguistics. Wiley Online. ^ Gunnarson, Britt-Louise (2013). "Multilingualism in the Workplace". Annual Review of Applied Linguistics. 33: 162–&volumeId=33&issueId=–1&aid=9090498. doi:10.1017/S0267190513000123. ^ Gunnarsson, Britt-Louise (2014). "Multilingualism in European Workplaces". Multilingua. 33 (1–2): 11–33. doi:10.1515/multi-2014-0002. ^ "Troika: Russia's westerly poetry in three orchestral song cycles" Archived 3 November 2017 at Wikiwix, Rideau Rouge Records, ASIN: B005USB24A, 2011. Bialystok, Ellen (2017). "The Bilingual Adaptation: How Minds Accommodate Experience" (PDF). American Psychological Association. 143 (3): 233–262. Retrieved 14 March 2017. Bhatia, Tej; Ritchie, William C. (2004). The Handbook of Bilingualism. Oxford: Blackwell publishing. ISBN 978-0-631-22735-9. Burck, Charlotte (2007). Multilingual Living. Basingstoke: Palgrave Macmillan. ISBN 978-0-230-55433-7. Jared Diamond, The World until Yesterday: What Can We Learn from Traditional Societies? (especially chapter ten: "Speaking in many tongues"), Penguin Books, 2012 (ISBN 978-0-141-02448-6). Komorowska, Hanna (2011). Issues in Promoting Multilingualism. Teaching – Learning – Assessment. Warsaw: Foundation for the Development of the Education System. ISBN 978-83-62634-19-4. Kramsch, Claire (3 June 2011). "Are You Another Person When You Speak Another Language?". Berkeley Language Center. Retrieved 2 June 2013. Romaine, Suzanne (1995). Bilingualism. Oxford: Blackwell. ISBN 978-0-631-19539-9. Baker, Colin; Prys, Sylvia (1998). Encyclopedia of Bilingualism and Bilingual Education. ISBN 978-1853593628. Look up multilingual, multilingualism, bilingual, or bilingualism in Wiktionary, the free dictionary. This page was last edited on 17 April 2019, at 05:40 (UTC).